Conversation with Douglas G. Greene over my William Faulkner blog piece prompted me to further explore the matter of Faulkner's 1946 loss of the Ellery Queen's Mystery Magazine short story contest to Manly Wade Wellman. Three years after this loss, Faulkner won the Nobel Prize for Literature, which probably was a bit of a facer for Ellery Queen (the mystery writing duo of cousins Frederic Dannay and Manfred Lee; it was Dannay who ran Ellery Queen Mystery Magazine). 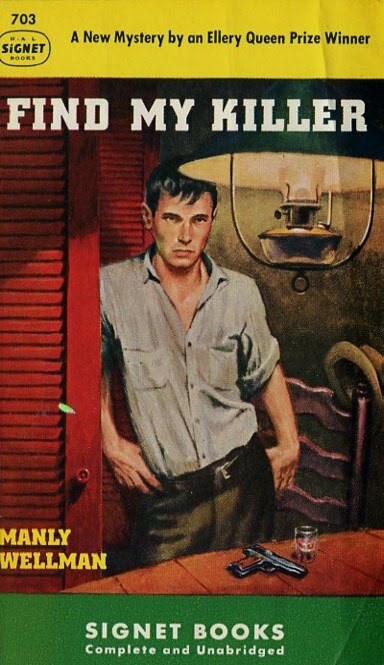 However, Wellman also enjoyed a prestigious literary career, which included a Pulitzer Prize nomination in the 1950s, and today he is considered one of the great American genre writers. that contraption in those shoes? 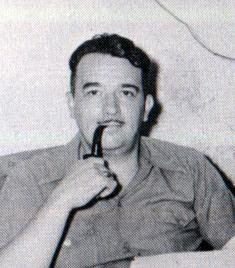 At the time of the 1946 Faulkner-Wellman genre fiction showdown, however, Wellman was known as a pulp fiction and comic book writer (Faulknerian digression here: in addition to writing for a myriad of pulps, Wellman played a seminal role in the creation of Captain Marvel--he himself viewed his comics work as degrading slumming, though Captain Marvel was hugely popular in the 1940s, before DC Comics, home of Superman, got Captain Marvel shut down on dubious copyright infringement grounds); while Faulkner was the author of, among other highbrow works, The Sound and the Fury (1929), As I Lay Dying (1930), Light in August (1932), Absalom Absalom! (1936), and Go Down, Moses (1942). In terms of literary prestige, then, there was obviously something of a discrepancy between the two men. That Faulkner would lose a mystery short story contest thus admittedly seems kind of incongruous. On the other hand, great literary skill does not necessarily translate into great detective writing ability (and of course vice versa). For my part, as discussed in my last piece, I think the story that Faulkner entered in the EQMM contest, "An Error in Chemistry," is a brilliant work; but I have not yet read the Wellman story (this is pending), so cannot comment on whose tale really was better. But I do want to explore a bit further the Faulkner-Wellman showdown, because it seems a certain amount of legend has grown up around it. I've read accounts on the internet that Faulkner attended the awards banquet and was so upset when he heard he had lost to Wellman that he--drunk again it seems--looked for Wellman to start a fight, then saw Wellman was much larger than he and quickly relented (Wellman played center for the football team of Wichita State University in the 1920s; he got his B.A. there before going on to Columbia University and getting an M.A. in literature). 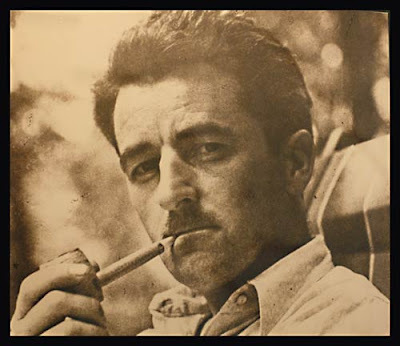 You remember the anecdote in which Manly Wade Wellman won an EQMM-sponsored award that Faulkner was shortlisted for, and a drunken Faulkner made himself personally unpleasant to Wellman...who apparently did not take the opportunity to deck Faulkner, though tempted. Faulkner showed up, one gathers, because he both wanted and need the cash prize, but I suspect Dannay got no little delight in rubbing his face in it. As you can see, this is a pretty colorful account! But it seems not to be an accurate one. To invert the cliche, truth so often in fact is duller than fiction, whatever people may tell you otherwise. For what follows I am relying on Jeremiah Rickert, "The Faulkner Incident," Oregon Literary Review 2, which may be found here. This seems a judiciously researched piece and I urge you to follow the link if you are interested in this matter. There's lots more there on Wellman, who enjoyed a fascinating literary career and interesting life in his own right (truth be told, his life sounds rather more eventful than Faulkner's). According to Rickert, the three finalists for the 1946 EQMM Award were Wellman, Faulkner and T. S. Stribling, yet another prestigious southern writer (indeed, he had already won the Pulitzer Prize back in 1933). The panel of judges in the contest consisted of writer and famed Sherlock Holmes enthusiast Christopher Morley; Howard Haycraft, author of Murder for Pleasure, one of the most significant histories of the mystery genre; and, naturally enough, Ellery Queen (both Frederic Dannay and Manfred Lee). According to Rickert, who says he draws this from Wellman, each contesting author had one "partisan" among the judges who refused to budge; thus no one had the votes to win. Supposedly the popular crime writer Rex Stout was called in to break the deadlock. Stout went with Wellman, making Wellman the winner (ironically, Faulkner himself read Rex Stout mysteries and in his 1949 Nobel Prize acceptance speech may have appropriated, consciously or not, the phrase "the last ding-dong of doom" from Stout's Nero Wolfe mystery The League of Frightened Men, 1935). After the announcement, Stout shook Wellman's hand, exclaiming: "You deserved it Manly, you wrote a great story!" Manfred Lee congratulated Wellman too, declaring: "You know how I love the Red Man" (Wellman's story, "A Star for Warrior," has a Native American detective). Was Manfred Lee and (and "Ellery Queen") Wellman's "partisan" among the judges? Sounds like it. by an Ellery Queen Prize Winner"
Wellman, obviously, was very much present at the affair, but I don't see how Faulkner could have been (it doesn't sound like something he would have done anyway), because Faulkner was informed in a letter from his agent Harold Ober that he, Faulkner, had won second place in the contest, netting $500. "What a commentary. In France I am the father of a literary movement. In Europe I am considered the best modern American, and among the first of all writers. In America, I eke out a hack's motion picture wages by winning second prize in a manufactured mystery story contest." But three years later, Faulkner was to win the Nobel and he would live the last dozen or so years of his life in company with Ernest Hemingway as the Grand Old Man of American letters, so perhaps things all worked out for the best. When Faulkner died in 1962, writes Rickert, "the University of Virginia offered their Writer-in-Residency position, held by Faulkner since 1957, to Wellman. He turned them down." A very interesting read, Curt, but I feel this post should’ve started with the lines, "ladies and gentlemen, are you ready to rumble?" Anyway, I've read (and reviewed) Wellman's Find My Killer, which has a plot that combines a hardboiled narrative with a scientific plotting. There's also a locked room mystery, but it's a routine one that's off-handedly explained. Utterly fascinating Cut - I'm a huge fan of Faulkner and it's great to read more about the feud. I think I have the collection in which the stories for the prize were collected so I'll have to try and dig it out. 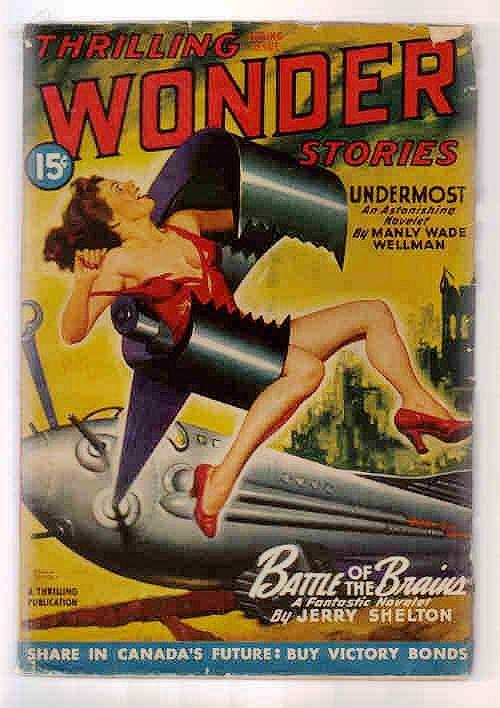 I don't know much about Wellman beyond some of his SF / Weird stories. Terrific post as always - I keep finding it very hard to post on blogger sites and while I am sure you manage quite well without those of us without Gmail / blogger accounts, I just wanted to reiterate how much I enjoy the blog. Is there a way to maybe lower the security settings perhaps to make it easier to comment on your posts? Those damn literary types. Win one award (or three in Faulkner's case) and they think they deserve them all. This made for great reading. Wellman's one and only detective novel is misrepresented on the hardcover DJ which I own. It says "Winner Ellery Queen Prize Contest" making it seem like the novel itself won the award. Only when you turn to the author bio do you learn that it was a short story for which Wellman won his award. 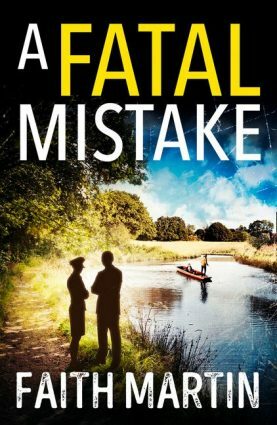 The blurb mentions the story is about David Return, a "full blooded American Indian" and according to the EQMM judges "the first truly American detective to appear in print." That novelty is sure to have put an edge on Wellman's trumping the Pulitzer and Nobel winners. Had this been a WWF match I think Faulkner would have been crushed! I'm anxious to read Wellman now! 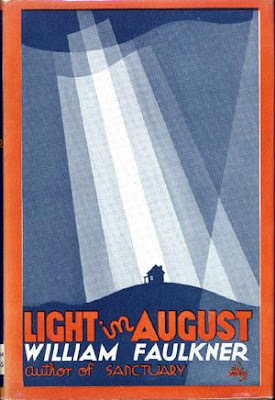 I have to say I had never read anything by him, though I was familiar with him in connection with Arkham House, whcih I was very much into in the 1990s. I'm going to look into changing the posting settings, they are just on the automatic setting, I think. I would love to get more comments!